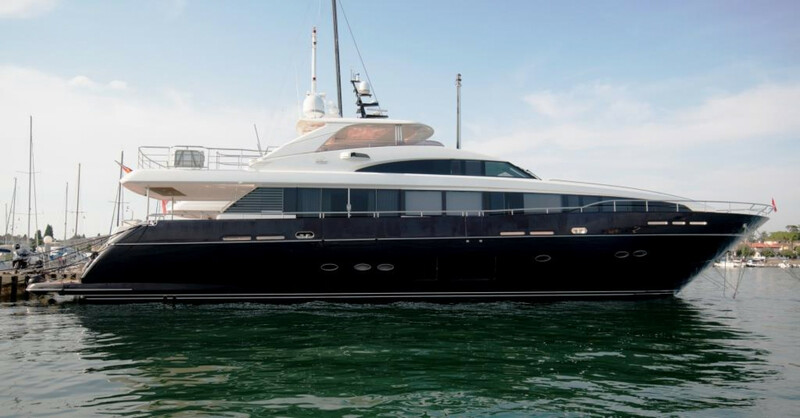 She offers great interior volumes, elegant lines, luxurious and modern equipment and long- range cruising capability. Her sleek profile wears a contemporary edge, underlining that this beautiful unit is at the forefront of modern motor yacht design. She can accommodate 10 guests in her 5 luxury cabins layout which features a Master stateroom on the main deck, 3 Double cabins and 1 Twin on the lower deck.